Every bodybuilding expert agrees that diet is the number one way to get rid of subcutaneous fat and show off your muscles, particularly your abdominals. 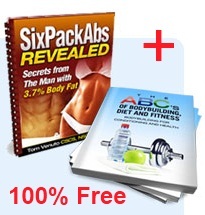 But not every expert agrees on how to get 6-pack abs. 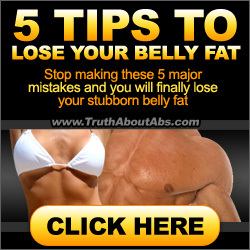 Almost all the experts have built the abdominals we all desire. How you build yours is a matter of choosing which method works best for your body configuration and metabolism. Let’s start with the late, great Vince Gironda, aka The Iron Guru. He advocated avoiding sit-ups completely. Vince had a 6-pack of abs like no one else of his era (his was more like an 8-pack!). He trained hundreds of bodybuilding champions and a host of other body-beautiful celebs, including movie stars and action movie heroes. For abs, Vince recommended a series of crunching exercises; on the mat, hanging from a pull-up bar, on a bench and using the Roman chair. He also maintained that it was your diet that displayed your abs, not your workout routine. Vince was very controversial, but he was also a very successful trainer. Four-time Mr. Universe winner, Bill Pearl has written what is arguably the very best book on weight training and bodybuilding ever composed. In his Keys to the Inner Universe, Bill has 62 pages on abdominal work covering more than 240 different exercises and variations of exercises. Bill Pearl’s abs looked like the Rocky Mountains divided by the Grand Canyon. At the age of 47 he was voted the “best built man in the World,” by his contemporaries. Actually, they both are. Gironda believed in working the abdominals sufficiently and correctly to develop them and then dieting properly to show them off. Pearl believed in building every muscle to its maximum potential and then dieting to get rid of the body fat so they would show well. Vince Gironda was small of stature, very muscular, fit and trim. Bill Pearl was exactly the opposite: moderately tall, massively muscled, extremely defined and very fit. Both of their students emulated Pearl’s build as much as they could. Today we can learn from both of these champions and trainers of champions, and combine their techniques to get the ultimate guide for 6-pack abs. • Roman Chair Sit-Ups – This is a backless chair device that allows you to hook your legs under a rung and then perform sit-ups for abs and back-bends for lower back muscles. • Incline Board Crunches – A partial sit-up where you raise your head and shoulders while contracting your abs forcefully. • Supine Crunches –On a bench or mat, elevate your legs with them bent at a 90 degree angle and place your hands behind your head. Crunch your abs while touching your left elbow to right knee and the reverse. • Dumbbell Side-Bends – Seated or standing and using a single dumbbell, lower the weight at arm’s length and then return to upright. Alternate sides with 20 reps each side. This is also performed with the weight hanging behind your buttocks so you pull the rear obliques. • Pull-Up Bar Leg Raises – With your hands widely placed on the chinning bar, slowly elevate your legs, bring your knees to your chest. Lower and repeat. • Parallel Bar Dip Machine Knee-Ups – With your forearms resting on each side of the dip bar, elevate your knees to waist level. This completes your 6-pack ab workout!